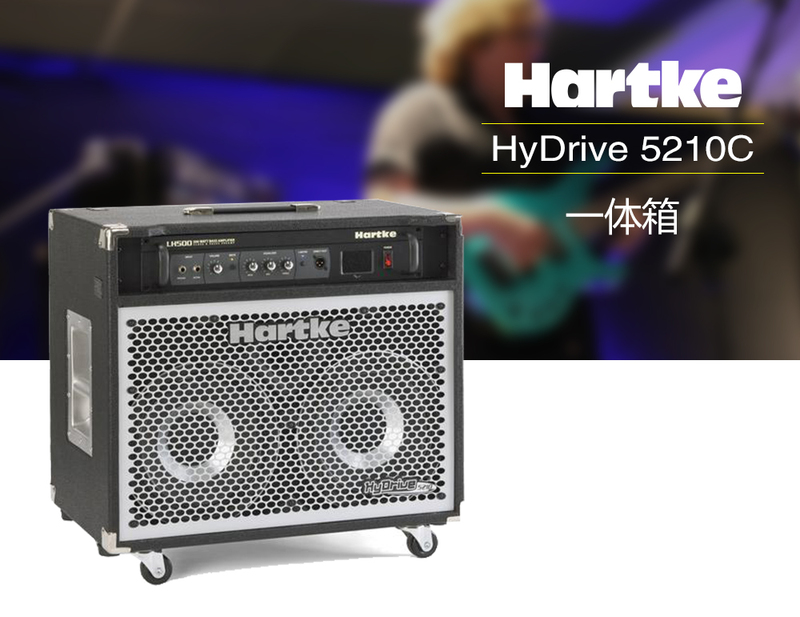 The Hartke 5210 combines a groundbreaking speaker design and a professional, comprehensive bass amplifier in one portable, roadworthy enclosure. The result is a pioneering bass combo that is powerful, warm, articulate and exceptionally durable. The new 5210 employs two of the revolutionary Hartke HyDrive bass speakers along with a 1-inch titanium compression driver. And this combo offers plenty of power, delivering 350 watts to its internal 8 ohm speaker system. It also provides an extension speaker output for connecting an additional cabinet. The amplifier section houses a classic 12AX7 tube high-voltage preamp circuit for exceptional tone to complement the accompanying HyDrive speakers. For additional tone control, the amplifier section also provides bass and treble shelving along with mid peak EQ controls and a built-in limiter. 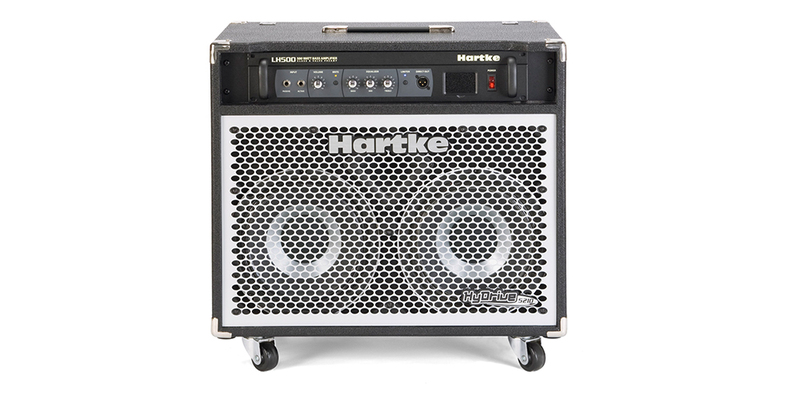 Thanks to its rugged plywood construction, perforated metal speaker grill and durable black vinyl covering, the Hartke 5210 is as attractive as it is roadworthy. And its recessed metal handles, along with the lightweight design of the HyDrive speakers, make it easy to transport from gig to gig. Versatile and inclusive, the Hartke 5210 sets a new standard for contemporary bass combos.